For the past 500 years, from the 50 fortified Portuguese ports that dotted the world in the 16th century to the 800 U.S. military bases that dominate much of it today, empires have used such enclaves as Archimedean levers to move the globe. Viewed historically, naval bastions were invaluable when it came to the aspirations of any would-be hegemonic power, yet also surprisingly vulnerable to capture in times of conflict. Throughout the 20th century and the first years of this one, military bases in the South China Sea in particular have been flashpoints for geopolitical change. The U.S. victory at Manila Bay in 1898, the fall of the British bastion of Singapore to the Japanese in 1942, America’s withdrawal from Subic Bay in the Philippines in 1992, and China’s construction of airstrips and missile launchers in the Spratly Islands since 2014 — all have been iconic markers for both geopolitical dominion and imperial transition. So important did Mahan consider naval bases for America’s defense that he argued “it should be an inviolable resolution of our national policy that no European state should henceforth acquire a coaling position within three thousand miles of San Francisco” — a span that reached the Hawaiian Islands, which Washington would soon seize. In a series of influential dictums, he also argued that a large fleet and overseas bases were essential to both the exercise of global power and national defense. But modern bases do even more. Naval bastions and the warships they serve can weave a web of dominion across an open sea, transforming an unbounded ocean into de facto territorial waters. Even in an age of cyberwarfare, they remain essential to geopolitical gambits of almost any sort, as the United States has shown repeatedly during its tumultuous century as a Pacific power. As the U.S. began its ascent to global power by expanding its navy in the 1890s, Mahan, then head of the Naval War College, argued that Washington had to build a battle fleet and capture island bastions, particularly in the Pacific, that could control the surrounding sea-lanes. Influenced in part by his doctrine, Adm. George Dewey’s squadron sank the Spanish fleet and seized the key harbor of Manila Bay in The Philippines during the Spanish-American War of 1898. In 1905, however, Japan’s stunning victory over the Russian Baltic Fleet in the Tsushima Strait between southern Japan and Korea suddenly revealed the vulnerability of the slender string of bases the U.S. then possessed, stretching from Panama to The Philippines. Under the pressure of the imperial Japanese navy, Washington soon abandoned its plans for a major naval presence in the Western Pacific. Within a year, Pres. Theodore Roosevelt had removed the last Navy battleship from the region and later authorized the construction of a new Pacific bastion not in distant Manila Bay but at Pearl Harbor in Hawaii, insisting that “The Philippines form our heel of Achilles.” When the Versailles settlement at the end of World War I awarded Micronesia in the Western Pacific to Japan, the dispatch of any fleet from Pearl Harbor to Manila Bay became problematic in time of war and rendered The Philippines essentially indefensible. It was partly for this reason, in mid-1941, that Secretary of War Henry Stimson decided that the B-17 bomber, aptly named the “Flying Fortress,” would be the wonder weapon capable of countering the Japanese navy’s control of the Western Pacific and sent 35 of these new aircraft to Manila. Stimson’s strategy was, however, a flight of imperial fantasy that condemned most of those planes to destruction by Japanese fighters in the first days of World War II in the Pacific and doomed general Douglas MacArthur’s army in The Philippines to a humiliating defeat at Bataan. As bomber ranges tripled during that global conflict, however, the War Department decided in 1943 that the country’s postwar defense required retaining forward bases in The Philippines. These ambitions were fully realized in 1947 when the newly independent republic signed the Military Bases Agreement granting the U.S. a 99-year lease on 23 military installations, including the Seventh Fleet’s future home port at Subic Bay and the massive Clark Air Base near Manila. Simultaneously, during its postwar occupation of Japan, the U.S. acquired more than a hundred military facilities that stretched from Misawa Air Base in the north of that country to Sasebo Naval Base in the south. With its strategic location, the island of Okinawa had 32 active U.S. installations covering about 20 percent of its entire area. After surveying the rise and fall of Eurasian empires for the past 600 years, Oxford historian John Darwin concluded that Washington had achieved its “colossal Imperium … on an unprecedented scale” by becoming the first power to control the strategic axial points “at both ends of Eurasia” — in the west through the NATO alliance and in the east via those four mutual security pacts. During the later decades of the Cold War, moreover, the U.S. Navy completed its encirclement of the continent, taking over the old British base at Bahrain in 1971 and later building a multi-billion-dollar base at the epicenter of the Indian Ocean on the island of Diego Garcia for its air and naval patrols. In fact, the weakening of those “offshore bases” had already begun in 1991, the very year the Soviet Union imploded, when The Philippines refused to extend the U.S. lease on the Seventh Fleet’s bastion at Subic Bay. 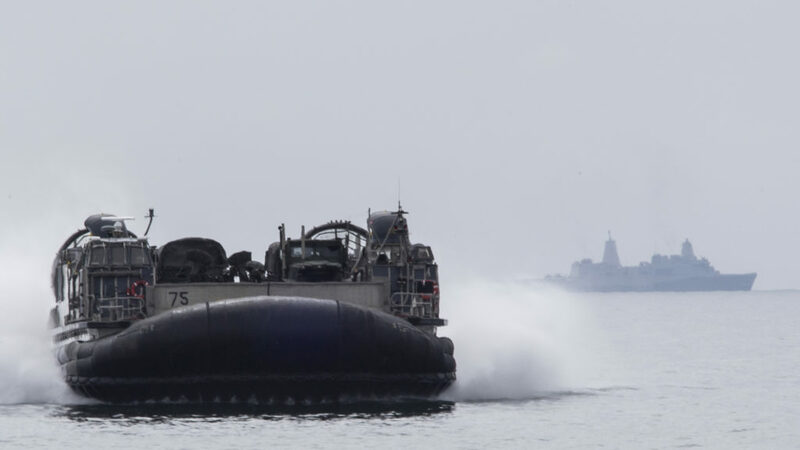 As Navy tugs towed Subic’s floating dry docks home to Pearl Harbor, The Philippines assumed full responsibility for its own defense without actually putting any more of its funds into air or naval power. Consequently, during a raging typhoon in 1994, China was able to suddenly occupy some shoals in the nearby Spratly Islands that went by the name of Mischief Reef — and that would turn out to be just its first step in a bid to control the South China Sea. Without the ability to launch its own air and navy patrols, in 1998 The Philippine military, in an attempt to reassert its claim to the area, grounded a rusting U.S.-surplus ship on nearby Ayungin Shoal as a “base” for a squad of barefoot soldiers who were forced to fish for their rations. In the meantime, the U.S. Navy suffered its own decline with a 40-percent reduction in surface warships and attack submarines from 1990 to 1996. 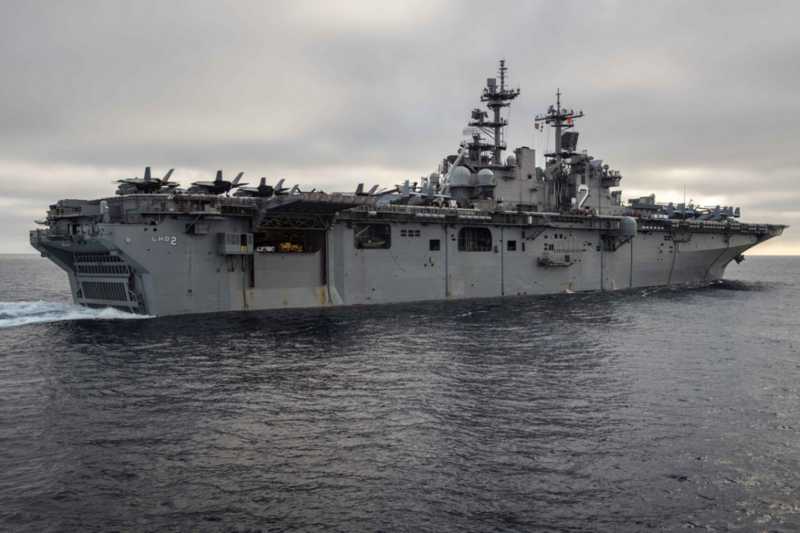 Over the next two decades, the Navy’s Pacific posture weakened further as the focus of naval deployments shifted to wars in the Middle East, the service’s overall size shrank by an additional 20 percent to just 271 ships, and crews strained under the pressure of ever-extending deployments — leaving the Seventh Fleet ill-prepared to meet China’s unexpected challenge. In a parallel move, China is building a blue-water navy and creating its first overseas bases in the Arabian and South China seas. As Beijing stated in a 2015 white paper, “The traditional mentality that land outweighs the sea must be abandoned … It is necessary for China to develop a modern maritime military force structure commensurate with its national security.” Though the force it contemplates will hardly compete with the U.S. Navy’s global presence, China seems determined to dominate a significant arc of waters around Asia, from the horn of Africa, across the Indian Ocean, all the way to Korea. Beijing’s bid for overseas bases began quietly in 2011 when it started investing almost $250 million in the transformation of a sleepy fishing village at Gwadar, Pakistan, on the shores of the Arabian Sea, into a modern commercial port only 370 miles from the mouth of the Persian Gulf. Four years later, Pres. Xi Jinping committed another $46 billion to the building of a China-Pakistan Economic Corridor of roads, railways, and pipelines stretching for 2,000 miles from western China to the now-modernized port at Gwadar. It still avoided any admission that military aims might be involved so as not to alarm New Delhi or Washington. In 2016, however, Pakistan’s navy announced that it was indeed opening a naval base at Gwadar and added that Beijing was welcome to base its own ships there, as well. As controversial as these enclaves might be, at least from an American point of view, they paled before China’s attempts to claim an entire ocean. Starting in April 2014, Beijing escalated its bid for exclusive territorial control over the South China Sea by expanding Longpo Naval Base on its own Hainan Island into a home port for its four nuclear-powered ballistic missile submarines. Without any announcement, the Chinese also began dredging seven artificial atolls in the disputed Spratly Islands to create military airfields and future anchorages. In just four years, Beijing’s armada of dredges had sucked up countless tons of sand from the ocean floor, slowly transforming those minimalist reefs and atolls into active military bases. While fighter planes and submarines are pawns in China’s opening gambit in the contest for the South China Sea, Beijing hopes one day to at least check, if not checkmate, Washington with a growing armada of aircraft carriers, the modern dreadnaughts in this latter-day game of empires. After acquiring an unfinished Soviet Kuznetsov-class carrier from Ukraine in 1998, the naval dockyard at Dalian retrofitted the rusting hulk and launched it in 2012 as Liaoning, China’s first aircraft carrier. That hull was already 30 years old, an age that would normally have assured such a warship a place in some scrap metal yard. Though not combat capable, it was a platform for training China’s first generation of naval aviators in landing speeding jets on heaving decks in high seas. In marked contrast to the 15 years needed to retrofit this first ship, the Dalian yards took just five years to construct, from the keel up, a much-improved second carrier capable of full combat operations. 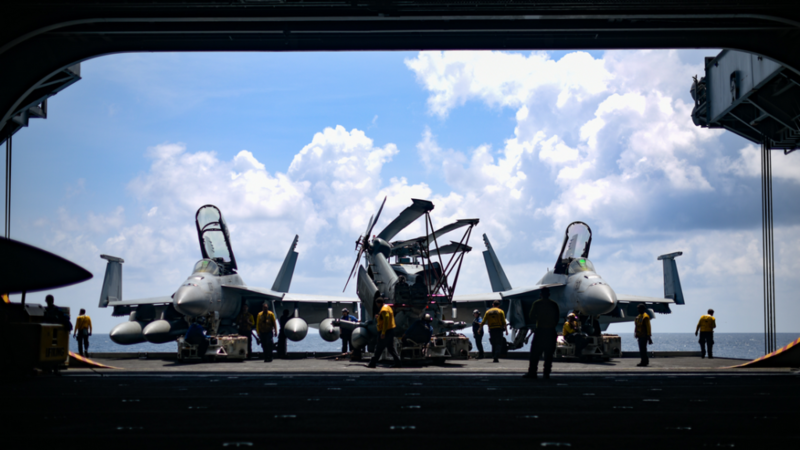 The narrow hulls and ski-jump prows that limit these first two carriers to just 24 “Flying Shark” fighter planes won’t hold for the country’s third carrier, now being built from indigenous designs in Shanghai. When launched next year, it will be able to carry on-board fuel reserves that will give it a longer cruising range and a complement of 40 aircraft, as well as electromagnetic systems for faster launches. Such carriers are the vanguard of a sustained naval expansion that, by 2017, had already given China a modern navy of 320 ships, backed by land-based missiles, jet fighters, and a global system of surveillance satellites. Its current anti-ship ballistic missiles have a range of 2,500 miles and so could strike U.S. Navy vessels anywhere in the Western Pacific. Beijing has also made strides in mastering the volatile technology for hypersonic missiles with speeds of up to 5,000 miles per hour, making them impossible to stop. 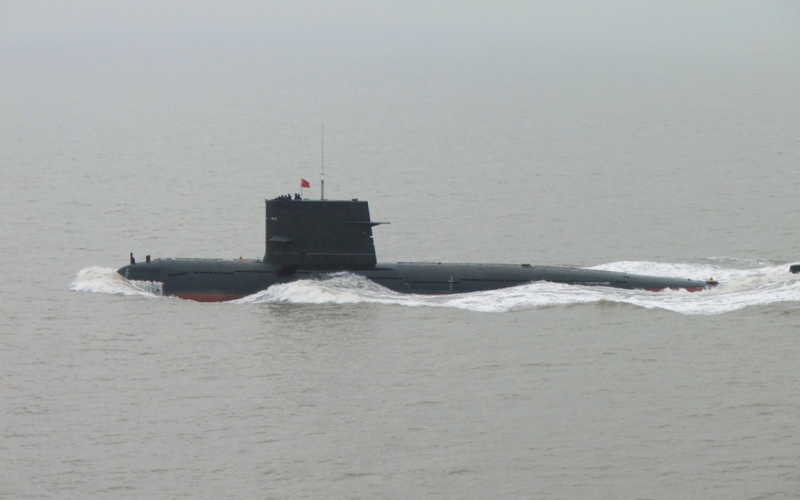 By building two new submarines every year, China has already assembled a fleet of 57, both diesel- and nuclear-powered, and is projected to reach 80 soon. Each of its four ballistic-missile submarines carries 12 ballistic missiles that could reach anywhere in the western United States. In addition, Beijing has launched dozens of amphibious ships and coastal corvettes, giving it naval dominance in its own waters. After taking office in 2009, Pres. Barack Obama came to the conclusion that China’s rise represented a serious threat and so he developed a geopolitical strategy to counter it. First, he promoted the Trans-Pacific Partnership, a 12-nation commercial pact that would direct 40 percent of world trade toward the United States. Then in March 2014, after announcing a military “pivot to Asia” in an address to the Australian parliament, he deployed a full battalion of Marines to a base at the city of Darwin on the Timor Sea. A month later, the U.S. ambassador to The Philippines signed an enhanced defense cooperation agreement with that country allowing U.S. forces to be stationed at five of its bases. Combining existing installations in Japan with access to naval bases in Subic Bay, Darwin, and Singapore, Obama rebuilt America’s chain of military enclaves along the Asian littoral. To make full use of these installations, the Pentagon began planning to “forward base 60 percent of [its] naval assets in the Pacific by 2020” and launched its first regular “freedom of navigation” patrols in the South China Sea as a challenge to the Chinese navy, even sending in full carrier strike groups. Donald Trump, however, cancelled the Trans-Pacific Partnership right after his inauguration and, with the endless war on terror in the Greater Middle East grinding on, the shift of naval forces to the Pacific slowed. More broadly, Trump’s unilateral, America-first foreign policy has damaged relations with the four allies that underpin its line of defense in the Pacific — Japan, South Korea, The Philippines, and Australia. Moreover, in his obsessive courtship of Beijing’s help in the Korean crisis, the president even suspended, for five months, those naval patrols into the South China Sea. The administration’s new $700-billion defense budget will fund 46 new ships for the Navy by 2023, for a total of 326, but the White House seems incapable, as reflected in its recentNational Security Strategy, of grasping the geostrategic importance of Eurasia or devising an effective scheme for the deployment of its expanding military to check China’s rise. After declaring Obama’s “pivot to Asia” officially dead, the Trump administration has instead offered its own “free and open Indo-Pacific” founded on an unworkable alliance of four supposedly kindred democracies — Australia, India, Japan and the United States. China’s future dominance over significant parts of those oceans will compromise the U.S. position on the Pacific littoral, shatter its control over that axial end of Eurasia, and open that vast continental expanse, home to 70 percent of the world’s population and resources, to China’s dominion. Just as Brzezinski once warned, Washington’s failure to control Eurasia could well mean the end of its global hegemony and the rise of a new world empire based in Beijing.